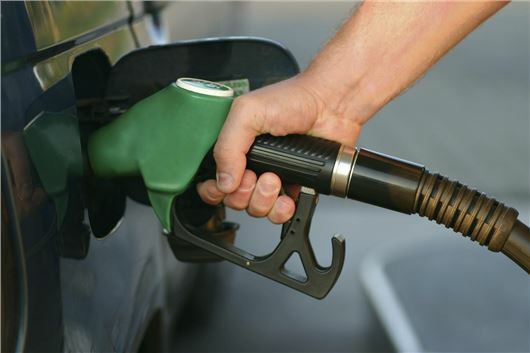 The body representing car manufacturers in the UK has cast doubt that US-style fines could be imposed if fuel consumption figures are claimed to be inaccurate. Hyundai and Kia have been fined in the US after they declared errors were made in recording fuel economy data provided for the Environmental Protection Agency and used for marketing purposes. Hyundai said the incorrect data was the result of human error and not a deliberate deception, but the manufacturer was fined $100 million (£64 million) and a further 4.47 million greenhouse gas credits equating to an additional $200 million (£127 million). Ford also admitted a similar incident in the US last summer and decided to compensate buyers of the C-Max hybrid after discovering the error. Official fuel economy tests in Europe, often referred to as the New European Drive Cycle (NEDC), have become increasingly controversial as manufacturers have become better at engineering cars to achieve favourable results and hit important targets for CO2 emissions. But there are key differences between how official tests are carried out in the US and in Europe. In the US, manufacturers carry out the process themselves, whereas with the NEDC in Europe, a government-appointed third party such as the VCA must witness each test independently. Therefore it would seem very unlikely that legal action would be taken against a car manufacturer in Europe. The SMMT said in a statement: “The NEDC is a standardised cycle for vehicle comparison purposes that cannot, and is not intended to, represent the infinite variations of the real world. Third parties such as the VCA witness the test, and the vehicles tested are governed by strict criteria. “[The] SMMT accepts the need for a more suitable testing process, and is working closely with vehicle manufacturers and the relevant regulators to implement a new solution. HonestJohn.co.uk has a growing database of alternative fuel consumption figures in Real MPG, to allow car buyers to have a more realistic idea of what they will achieve in real-world driving. The NEDC test must be witnessed by a government-appointed approval agency to ensure it meets the standards set out by the European Commission. All of the vehicle’s components must be present and cannot be tampered with. For example, the alternator belt must be intact and the brakes must function fully to pass testing. The tests must be done within a controlled range of temperatures, between 20°C and 30°C to be valid. Testing is always undertaken in specific laboratory conditions on a rolling road, which replicates air resistance. There is a standard drive cycle that is monitored by a computer programme, which invalidates the test if it is not performed within certain tolerances. The vehicle will not pass the test unless it meets the manufacturers production specification and tolerances. The vehicle will be checked to ensure it has the same tyre pressures, fluid levels and components as it would have on the road. Vehicles that come off of the production line are tested at random to ensure that they meet the lab test results.